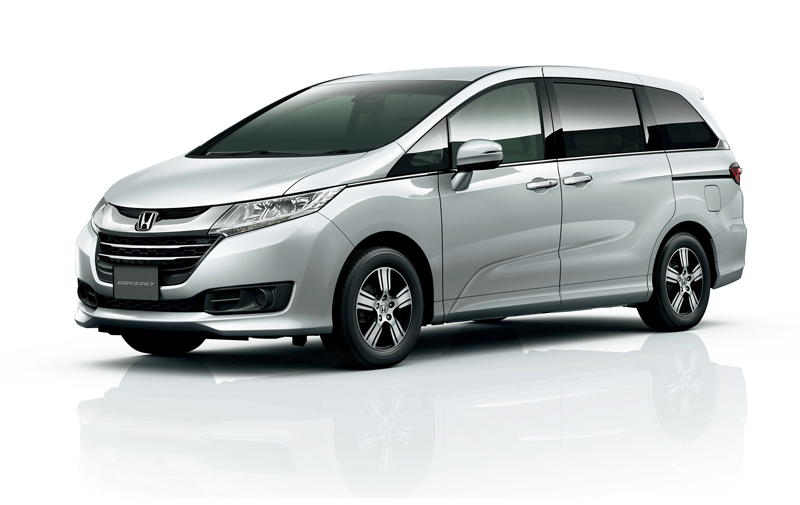 Honda Cars Philippines, Inc. (HCPI), Honda’s automobile business unit in the Philippines, rolls out the New Odyssey EX Variant with 8-passenger seat capacity. A year since the Japan-made Odyssey entered the Philippine market, the Odyssey line-up was expanded as a response to the evolving needs of the market. Interior-wise, overall passenger comfort was kept in mind, which allows the New Odyssey EX to optimally accommodate both passengers and their cargo. The New Odyssey EX gets a 3-passenger, 60:40 split bench for its second row and Honda retained its 3rd Row Magic seats. It is equipped with a fold flat mechanism, which stores the third row under the floor to provide more cargo room and flexibility. The 3rd row also features three-way split reclining structure, which allows passengers to individually fold or recline their seats in preferred angles for utmost relaxation. Safety-wise, the New Odyssey EX Variant is equipped with class leading safety features. The complete array of safety features are Emergency Stop Signal (ESS), driver and passenger SRS airbags, side airbags, side curtain airbags, Anti-lock Braking System (ABS) with Electronic Brake-force Distribution (EBD), Vehicle Stability Assist (VSA), Hill Start Assist (HSA) and Multi-View Reverse Camera, which may be displayed on its audio display screen. A 7-seater with captain cradle seats Honda Odyssey (EX-V Navi) is also available with the suggested retail price of Php 2,368,000. For more details on the New Odyssey EX Variant, visit any authorized Honda dealership nationwide or www.hondaphil.com/model/odyssey/.